Datalogic PowerScan - Standard range with RS-232 interface. Includes RS-232 cable (Part# 8-0423-80) and US power supply. Designed from the ground up to meet the demands of industrial users. 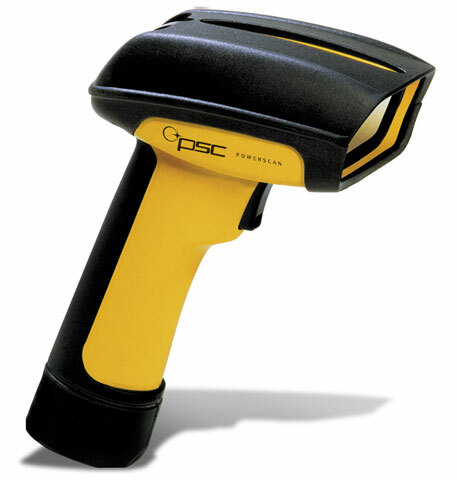 The PowerScan family of handheld laser barcode scanners has been specifically designed "from the ground up" to meet the demands of industrial users. In this tough environment, the right tool makes all the difference. With a PowerScan scanner on the job, you'll have one of the toughest, most reliable tools around. Each unit ships with one user's guide. The Datalogic PSSR-1000-02 is also known as Data Logic	PSC-PSSR100002	or PSSR100002	.